Does your dad deserve some serious appreciation this Father’s Day? Wisconsin dads really are in a league of their own – and that’s a story for another day. They’re the ones who are often right there next to us as we go through rights of passage growing up. Maybe your dad gave you your first beer, took you on your first hunting trip or chose to clean his guns in the living room when you got picked up for your first date. If you really want to treat your Wisconsin dad this year – here are some excellent ideas that are also 100% local. The craft brewing scene in Green Bay and the Fox Cities has really grown in recent years. Most dads are big fans of beer, and more of them are putting down those tired old brands and checking out the new local brews. 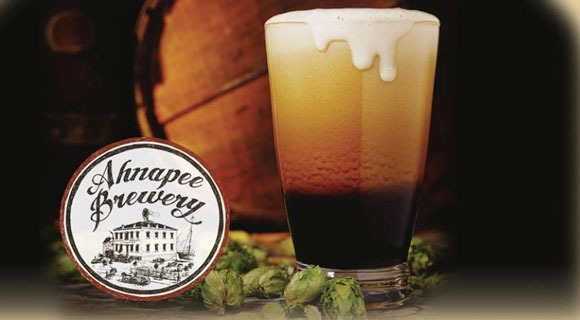 Check out our post featuring 15 Northeast Wisconsin Breweries and get suggestions for where you can take your old man to gulp down a cold one. Buying a growler of beer as a gift is also a great idea. It’s something most microbreweries offer, and he can even bring it back for a refill. Not old enough to buy beer yet? Try giving Dad some Wisconsin-made root beer instead. Every dad has at least one vice. If it’s not beer – maybe it’s candy. Then you should definitely check out the new candy shop on College Avenue in Appleton – Crazy Sweet. You buy candy by the pound, and you’ll be able to find lots of old-school options your dad probably loved as a kid. They even have bacon and maple flavored lollipops! Crazy Sweet also offers chocolate from Oaks Candy in Oshkosh. Read our article on the candy store to find out more about this new place. Some other great area candy stores and chocolate-makers with tons of tradition include Seroogy’s in De Pere and Ashwaubenon as well as Beerntsen’s Candies in Green Bay and Manitowoc. Every man likes having his own stash of sweet treats. You can’t go wrong with this one. Dads are often the ones pushing us to try harder, to do new things and be adventurous. This Father’s Day – why not return the favor? There are plenty of opportunities for fun and excitement in our area – but one of the coolest new places is the NEW Zoo Adventure Park in Suamico. It features dual zip-lines so you can race your dad down to the ground. And who doesn’t get satisfaction out of beating their dad in something? 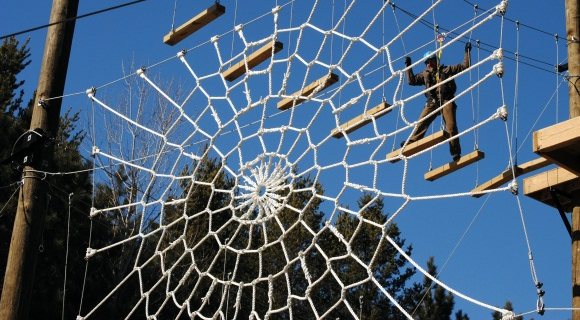 There are also ropes courses and a rock climbing wall. Plus, all fathers enjoy free admission to the zoo on Father’s Day Sunday. Get a photo of him feeding the giraffes. It will be a memory your family cherishes forever! We told you all about this adrenaline pumping experience before it opened – read our article on the NEW Zoo Adventure Park to get the details. Typically, it is Dad who fires up the grill and tries not to burn the burgers and brats for the family get-together. But Father’s Day is supposed to be his time to relax! Maybe it’s your turn to put on that Kiss the Cook apron and give grilling a shot. If you need a little help, you’re in luck. 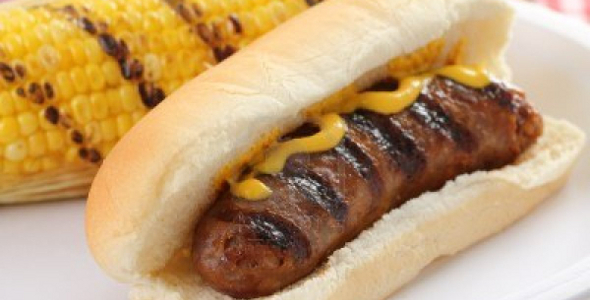 We’ve put together a great guide for grilling beer brats. It will explain just about everything you need to know about this time-honored, Wisconsin dining tradition. Not to mention – grilling brats is pretty darn easy and is always a crowd-pleaser. No matter what – Dad will appreciate a chance to watch you get your arm hair singed off for a change. You can always go with Johnsonville Brats, but you’ll really impress him if you pick up some locally-made brats from an area butcher like Maplewood Meats in the Green Bay area or Cedar Creek Marketplace and Niemuth’s Southside Market in the Fox Valley. I’m not sure if there’s such a thing as organic brats – but you could also try the new Waseda Farms Market that recently opened in De Pere. Guess what – I bet your dad really loves you. I bet he’d really enjoy just hanging out for the day. An excellent place for some outdoor family time is the Fox River Trail in Brown County. Take a walk or a bike ride. You could even try and teach your dad to skateboard – since skaters are now officially allowed on the trail. There are also some fun businesses located right along the Fox River Trail. You could stop for some frozen custard at Zesty’s in De Pere, get dinner with a view of the water at the Mariner Supper Club in Allouez, or have a couple drinks at Fox Harbor Pub and St. Brendan’s Inn in downtown Green Bay. Plus – the new Locktender’s House on the Riverwalk at Voyager Park in De Pere is a cool snack shop with soft serve ice cream, hot dogs and more. Check out our article listing places to visit on the Fox River Trail for even more ideas! Another way to spend some time with your dad is to hit the road. He’ll probably want to drive. If you think you’ve seen everything in Wisconsin – you haven’t seen our post about 17 of the World’s Largest Things Located in Wisconsin. From the gigantic fiberglass muskie and a huge six-pack of beer to the biggest penny you’ve ever seen – Wisconsin offers its fair share of quirky surprises. 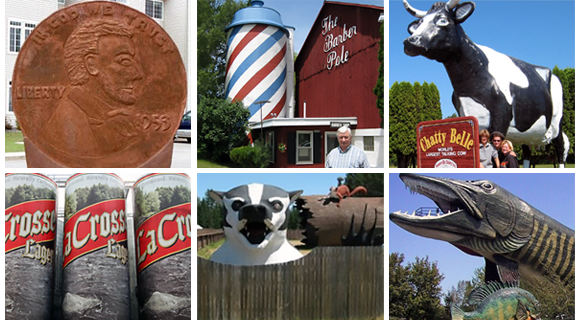 It would be fun to see how may of these roadside attractions you could visit in one day. Dad will most likely map it out with his road atlas – but you’ll just bring your GPS-equipped smartphone. Finally – if you don’t mind – we’d like to present you with some shameless self-promotion. 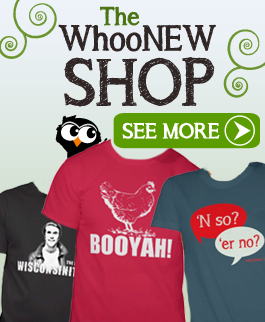 WhooNEW recently started designing Wisconsin-themed t-shirts and, we’re offering them for sale on Zazzle. Many of the shirts are based on some of our most-popular stores. From famous Wisconsinites, to the origins of Blue Moon ice cream and why we call drinking fountains “bubblers” – you’re sure to find something that fits your dad’s sense of humor and sense of style. We are still coming up with more designs. Got an idea? Let us know. If we use it – we’ll send you a free one. 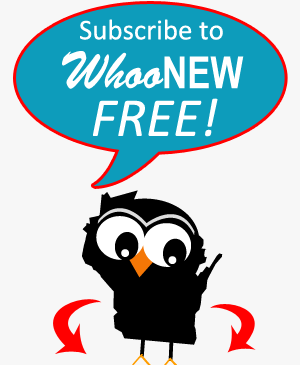 Visit the WhooNEW Zazzle Store to see what we’ve got so far! 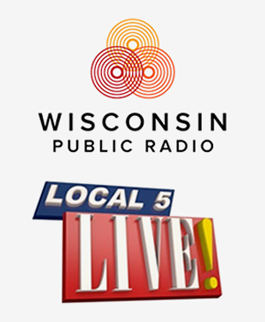 There are probably hundreds of other great ideas for Father’s Day gifts with a local twist or a Wisconsin theme. Don’t be shy – keep the ideas coming. Give us your suggestions in the comments below! Just went to the t-shirt shop. I had no idea blue moon ice cream was a WI thing. I could swear I’ve had it elsewhere. It was my favorite flavor. I would always get a dish of blue moon at Mother’s Ice Cream in the Valley Fair Mall when I went to the movies with my parents. (Or bubblegum. That was tasty, too.) Good memories.